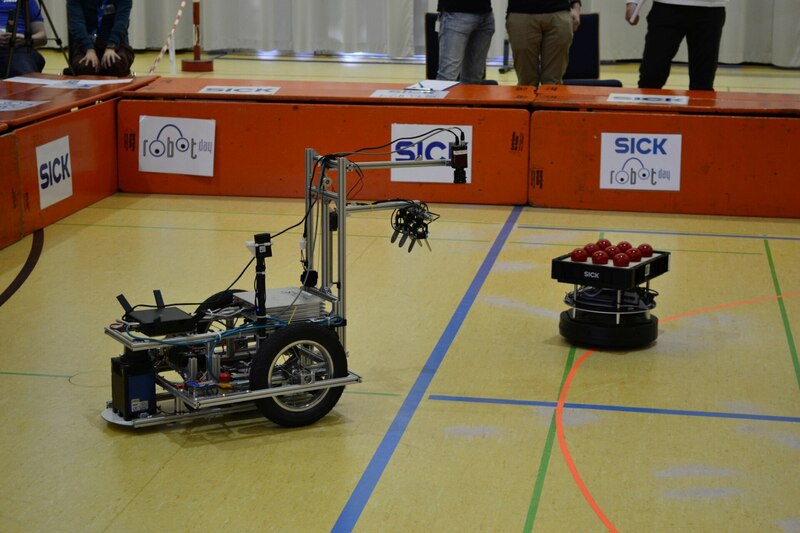 This year’s task required the autonomous vehicles to exploit all their dexterity: Balls had to be picked up from a SICK autonomous transporter moving slowly in circles and then transported and added to the team’s own stock. Each match involved two teams competing to take as many balls as possible to their own depot within ten minutes. The aim was not only to observe the rules of right-of-way but also to avoid collisions with the opposing team, as these would lead to disqualification. Each vehicle took part in two runs, of which the better one was evaluated. During the competitions, the teams were allowed neither to enter the playing field - the “arena" - nor to intervene by remote control. The vehicles therefore moved completely autonomously across the arena with the aid of sensors, such as laser scanners, or cameras. For this purpose, SICK provided the teams with a TiM5 sensor, a 2D laser scanner for distance measurement. The key technologies required for the successful course of the game were not only the detection of the collective point at greater distances, the detection and precise picking up of the balls, path planning and collision avoidance, but also self-localization and image processing. SICK AG has been inviting universities, colleges and research institutes to its SICK robot day since 2007. The aim of the competition is to motivate scientific institutions to put their specialist knowledge in the field of robotics into practice and to advance the development of sensor-supported autonomous systems. The three winning teams receive prize money. 1_SICK Robot Day 2018.JPG: The winning team’s autonomous robot “RT Lions” in action. 2_SICK Robot Day 2018.JPG: This year’s task required the autonomous vehicles to exploit all their dexterity: Balls had to be picked up from a SICK autonomous transporter and then transported and added to the team’s own stock. 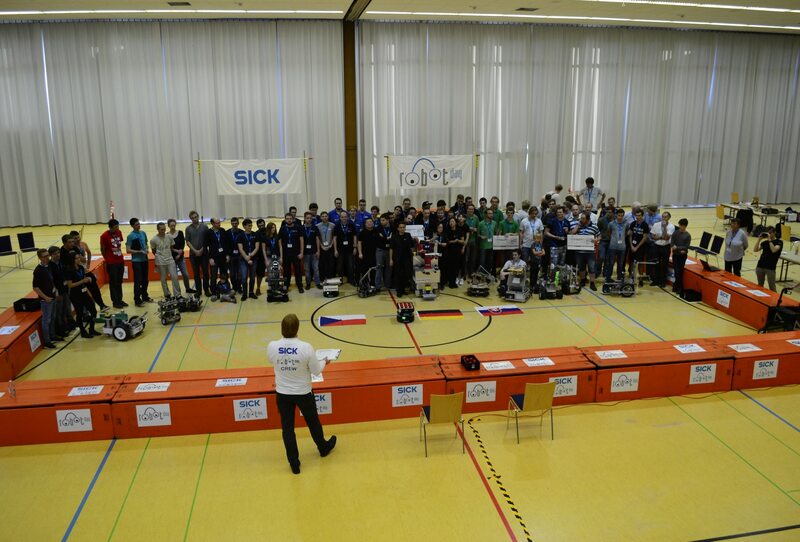 3_SICK Robot Day 2018.JPG: 12 groups from Germany, the Czech Republic and Slovakia competed against each other.